(Natural News) An electromagnetic pulse (EMP) attack by a hostile nation would wreak absolute chaos by taking out vital services and systems that we take for granted. To survive the aftermath of such an attack, an article from Smart Prepper Gear listed a number of vital items that will remain usable and useful. First on the list are books. An EMP will take out the computers and servers that sustain the internet as well as smart phones and electronic tablets that store e-books. There are two categories of books to fill your bookshelves. The first are texts about useful skills and crafts that can keep you alive and health. Examples include carpentry, farming, first aid, gardening, homesteading, and wilderness survival. The second group are books you take pleasure in reading. Keeping yourself entertained will be just as important as keeping yourself well-informed. Next, you should aim to have at least a full set of basic hand tools for construction, repair, and maintenance. Get axes, hammers, knives, saws, screwdrivers, and wrenches. You should also collect fasteners such as bolts, nails, nuts, and screws. Third on the list are guns. You will need them for protection against hostile people or animals. A cheap .22 rifle can be used to train your shooting skills, hunt small game, and kill vermin. For bigger animals or predators, you will want a shotgun for shorter distances and a hunting rifle for longer ranges. To defend against human attackers, you will need a semi-automatic pistol and a semi-automatic rifle. The former is easily carried and concealed, while the latter is much more powerful. Get at least one of each type of gun. Each individual weapon should have 1,000 rounds. Do not store your guns in an electronic safe. An EMP attack will knock it out and keep it locked. The fourth item to stockpile is physical money. Keep at least $500 in your home. 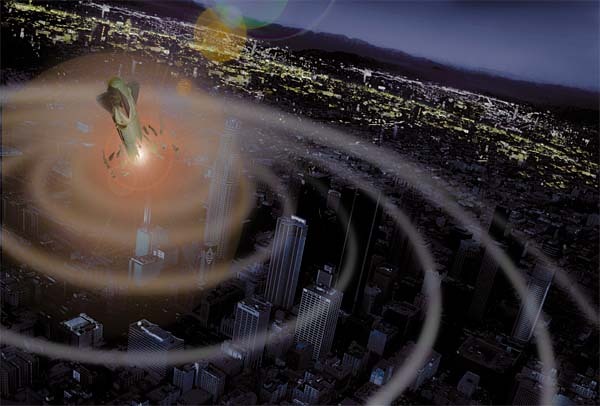 Once the EMP attack hits, take that money to the nearest store and spend all of it on food and supplies. Do not bother with change. Important electronics should be stored inside a Faraday cage. You can build your own EM-proof container out of galvanized metal trash cans or heavy-duty aluminum foil. Wrap each electronic device in a towel and plastic wrapping. Then store them inside the Faraday cage. This is not a 100 percent guarantee, but it raises their chances. Some devices that merit this protection are cell phones, laptops, radios, and flashlights. In addition to the devices, you should also store a solar charger. An EMP attack will bring down the electric grid and fossil fuel generators will require increasingly expensive and limited fuel. If you are protecting electronic equipment, you can consider stockpiling the appropriate batteries for them. Most modern vehicles rely on computers and electronics that are highly vulnerable to an EMP attack. Look for a car built during the 1970’s and 1980’s. Go for reliable models with All-Wheel Drives like jeeps and pickup trucks. Remember that vehicles need fuel. Solar panels will be able to survive an EMP damage, although they will take damage and operate at reduced efficiency. Protect their fragile solar charge controllers and voltage inverters with Faraday cages. Get more guides on how to survive in the post-EMP U.S. at EMP.news.